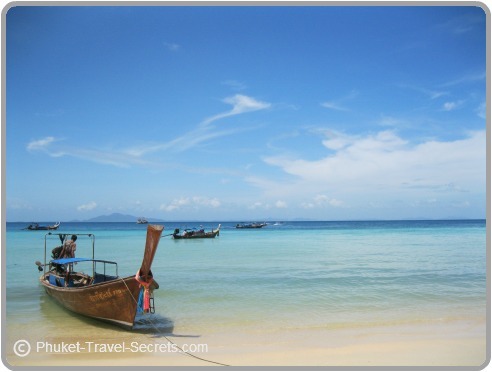 Hiring a longtail Boat in Phuket is the best way to explore the many hidden beaches and offshore islands. You will find longtail boats readily available for hire on most beaches around the Island. These small wooden boats are used to provide a number of marine services, including transporting tourists from beach to beach. They are not very fast and they certainly aren't what you would call a speedboat, but what they lack in speed they certainly make up for in sound. Longtail boats are cheaper than renting a speed boat, they may not be as comfortable or as fast but are a must do a least once while in Phuket. 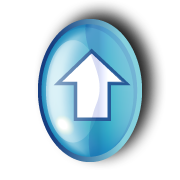 The price of the boats tend to change with the seasons and the price will also depend on how well you can barter. How far you are going, how long you are going for and how many people are in your group. On average a longtail boat will cost around 900 baht to 2000 baht. For people staying in Patong, longtail boats are available for rent at the far southern end of Patong Beach. The boats usually carry up to eight people, and life jackets are usually on board, if you can't see them just ask the driver if he has life jackets to wear. A ride in a longtail boat is a fun way to get around, especially if you want to explore some of the beaches that are only accessible by boat while holidaying in Phuket. Longtail boats are also known as Rua Hang Yao, and were once used to travel through the canals of Bangkok, which was once known as the "Venice of the East". 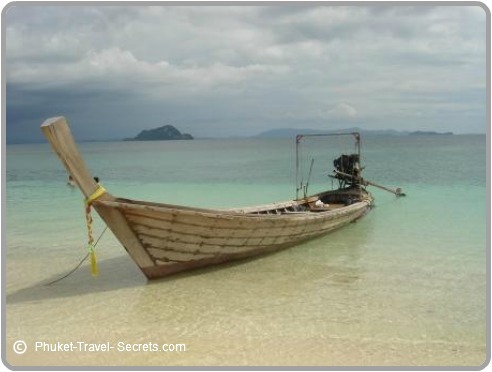 In Phuket, Krabi and the surrounding Islands a longtail boat is mainly used for fishing and tourism.